Photographs of new and longstanding participants of ‘Faces and Phases’ will be shown together as projections. 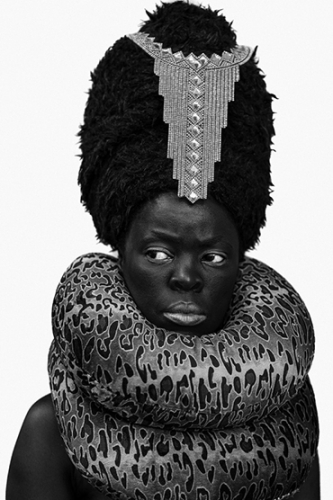 Muholi has recently facilitated and curated exhibitions with some of these participants, young artists and activists in Amsterdam, Johannesburg and Cape Town, around themes of pride, loss and resistance. Muholi thus affirms that her project is one of cultivating visibility and dialogue across generations and geography. Muholi has exhibited work at Fondation Louis Vuitton in Paris; the Kyotographie International Photography Festival in Japan; Prince Claus Fund Gallery in Amsterdam; the Berlin Biennale; Documenta 13 in Germany; the South African Pavilion at the 55th Venice Biennale in Italy; the 29th São Paulo Biennial, the Vitra Design Museum in Weil am Rhein and the Guggenheim Bilbao, among other museums and institutions.